When I was in the third grade I distinctly remember getting the idea in my head that I should have a nickname. Obviously, “Bri” was the first thing that came to mind. Never in my life up till this point had family, friends, or distant relatives (okay how many people did I know when I was 8? ), ever call me this. 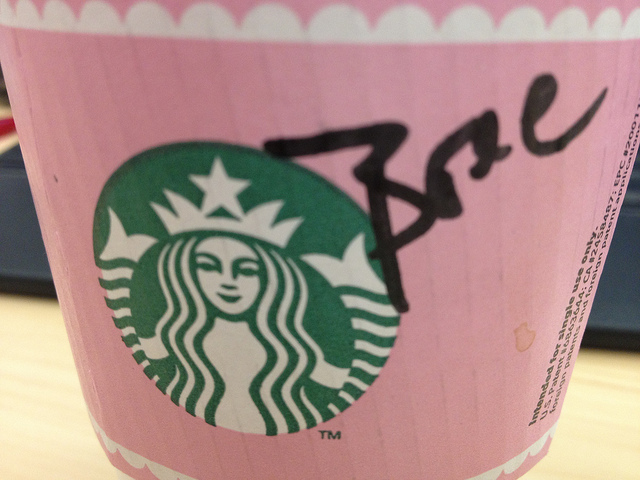 But, I wanted to be called Bri – not Brianna. I remember feeling like the ‘odd duck out’ even as an 8 year old and to me having a nickname would be like fitting in. I mean if the Elizabeths of my grade could do it why couldn’t I? As ‘Bri’ I could start over in third grade – maybe skyrocket to the front of the popularity food chain? My course of action? Start writing Bri on my homework. Surely, if the teacher started calling me by my new short name the others would catch on – she was the authority, the other kids had to follow. “Well it’s not your name, Bri…..anna” she made sure the stress the -anna part like it was a thousand pound weight on my shoulders. I then wrote the missing -anna on my paper and went to lunch – defeated. For the next 10 years I would never suggest or even let on that I wanted to be called anything else than Brianna. Occasionally someone would call me Bri – and in fact only one friend called me Bri regularly at all. The shame of having to retro-actively add -anna to any disputed situation was enough to stop me from trying my ‘Bri’ ploy again in an academic or social setting. Then I went to college. “Hello, I’m Brianna.” Minutes later -no joke- I was Bree, Bri Bri, and after it was made public that my name is spelled incorrectly on my social security card during beauty school, BriLan or BriLanna. (Thanks Pokee). In return for being called Bri, you may notice I have nicknames for everyone – Animal, Beeboop, Pokee, Baby B, LeeLee, Vlady V, I call my mom Lois – to name a very few. I love my full name – it is professional, pretty, and suits me – but there is something even still about when someone calls me ‘Bri’ that makes me feel like I am super cool and for a split second the 8 year old in me says ‘YES!’ and makes a giant gesture taking a fist in the air to my heart. < Previous Summer, Summer, Summer…..
I’m glad i’m Brianna! Those other names weren’t for me anyways! 🙂 Thanks for not naming me Bertha though!